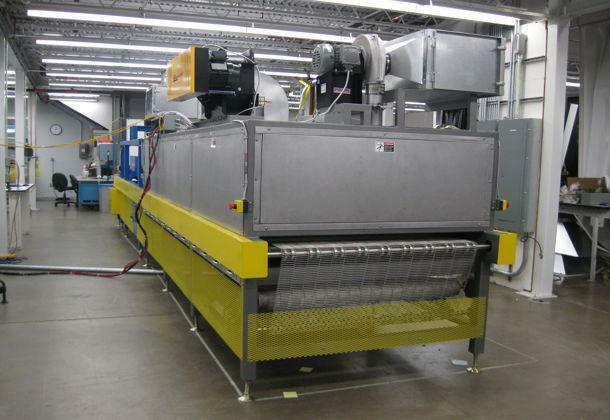 Casso-Solar Technologies Ceramic Ink Drying Systems lead the industry in processing water base, water miscible, terpinol and pine oil based inks, leaded or lead free. Oven doors may be heat treated for strengthening, curing tints and decorations, hard coats and more. 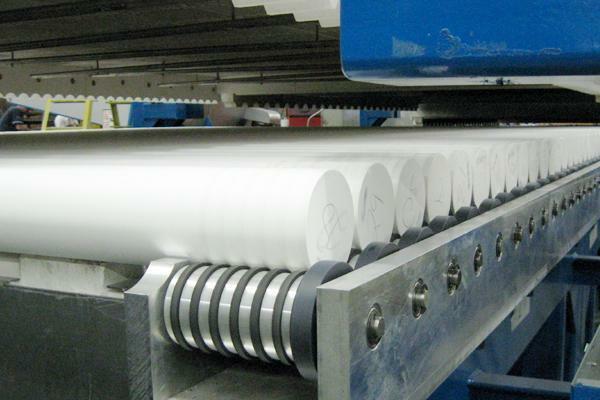 Casso-Solar Technologies dryers will dry low temperature silver paste coatings that create bus bars to bring power to coated glass for defogging applications such as refrigerator doors. 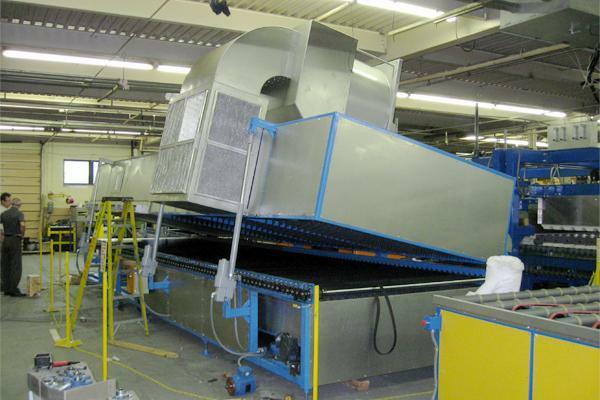 Dryers combined with rolling hearth furnaces can fire decorative or conductive coatings into the glass. 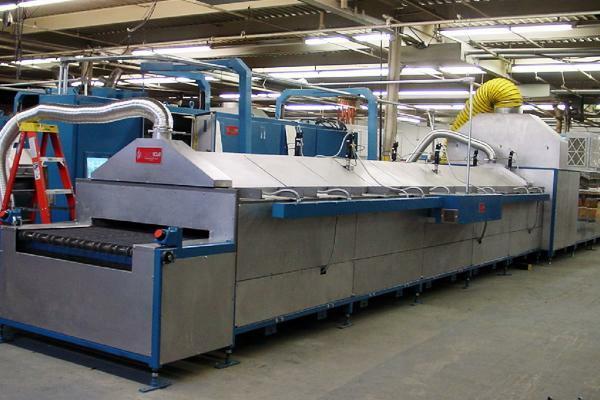 The glass is then annealed or partially heat strengthened, for further processing.